Man-made crater “Sailor’s Hat” showcases the impact humans have had on the island of Kaho’olawe but conservation offers hope that this island paradise can thrive once again. The coast of Kaho’olawe is marked with a man-made crater called Sailor’s Hat. The crater was caused during bombing practice; in 1965 the US Navy piled 500 tons of TNT on the southeast shore in an attempt to simulate the effects of an atomic bomb. Ships were anchored off shore to see how they would respond to the blast. After the first blast they added another 500 tons, and then another. A total of three blasts created a massive crater on the shore of Kaho’olawe. Today you can see stones melted from the explosion. Now the crater is habitat for two species of endemic shrimp that live in the shallow waters. Sailor’s Hat represents the lasting damage that humans have done to the island, but it’s not the end of the impact. 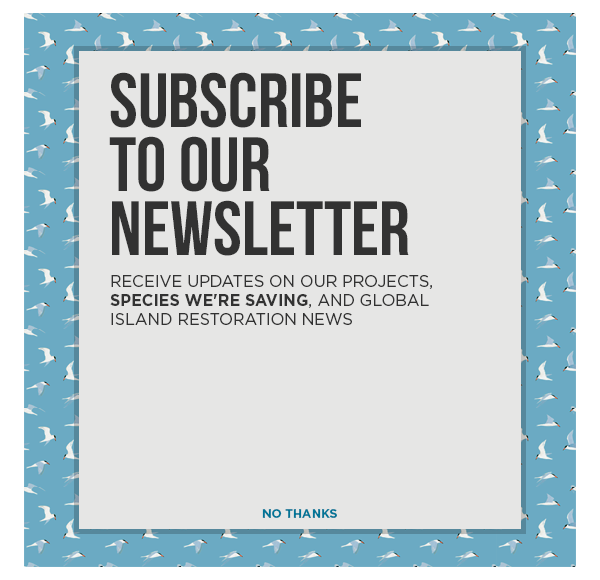 Today, invasive species threaten the island’s native fauna, but Island Conservation and our partners are working to remove invasive species and restore the island. Watch the first part of the series if you missed it. Watch the video from Hawaii News Now to learn more.